Lovely in Spring with informal walks, and great views. 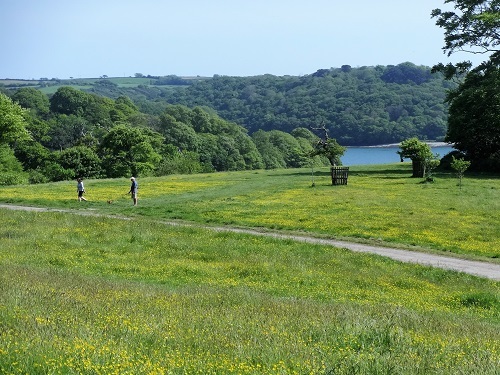 Trelissick Gardens are set in more than 400 acres of sweeping parkland with beautiful views of the Fal River and Estuary. The first garden trail takes you through a large collection of hydrangeas, camellias and rhododendrons together with sub tropical plants. A further path takes you over a stone bridge to another lovely area with more fine plants and Spring bulbs. 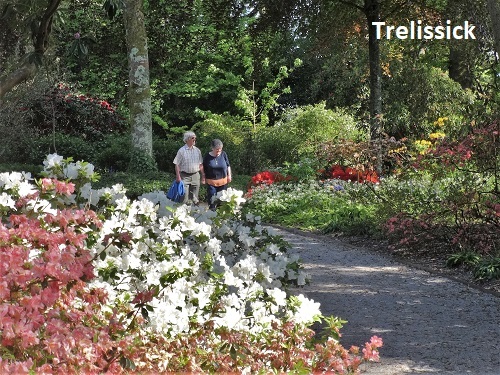 Trelissick is also home to the National collection of azaras and photinias. In the dell there are tree ferns hostas and hellebores. 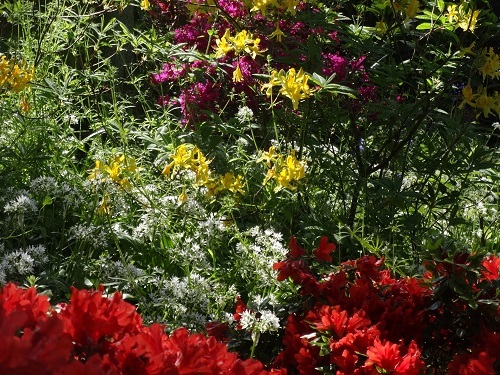 There are also formal borders which give great colour in late summer. The small walled garden contains aromatic plants. Facilities include refreshments, picnic areas and a shop. There is good disabled access. Dogs are allowed on lead through the park and a beautiful woodland walk of around 2.5 miles following the side of the Fal estuary. There is also a small beach ideal for picnics. A point of interest for visitors from the United States, if you look over the Fal Estuary from the Garden you can see Turnaware Point the D Day embarkation point for the brave men of the 29th Infantry Division V Corps, US army. Open air music and theatrical events in season are held regularly. NT 2019. 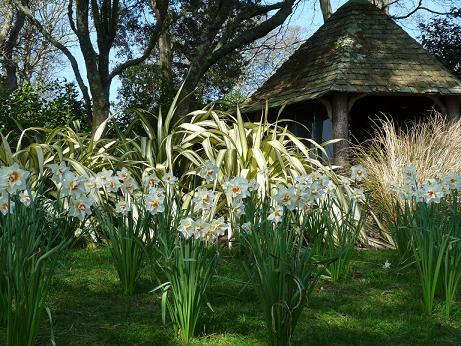 Trelissick Gardens and House open most of year daily 10.30 - 5.30 (11 - 4 in Winter). Closed 25/26 December and 1 January. Woodland walks open all year. 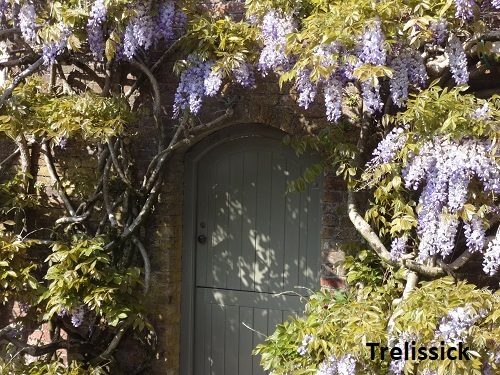 For detailed openings visit the National Trust website. If you want to take a break near Trelissick, why not stay in one of our recommended hotels. Each hotel has genuine guest reviews enabling you to book from anywhere in the world in total confidence. 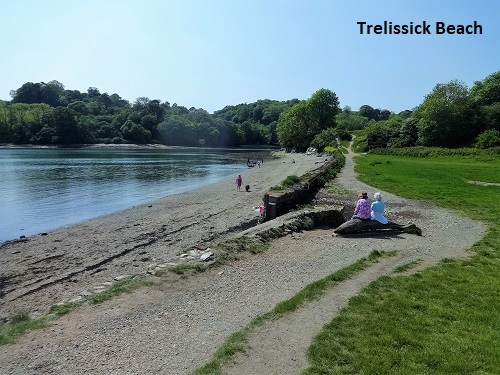 Look now for hotels near Trelissick - click here.